Australia's flag of nautical woven. 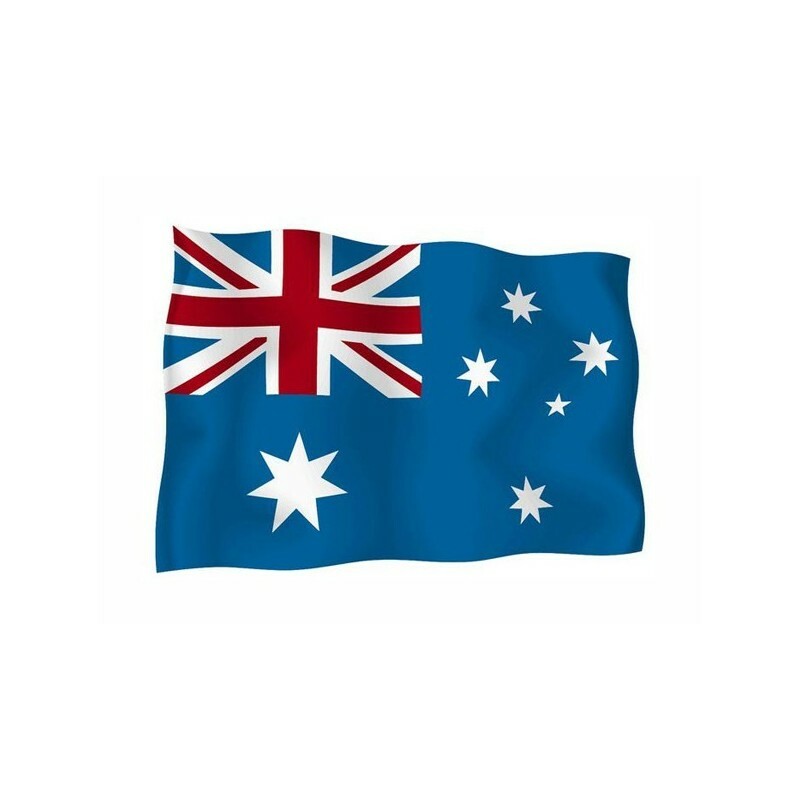 Flag of Australia of nautical polyester, for external use only, with digital print. The woven, after many years of accurate researches, is of high quality and it is resistant to the atmospheric agents. 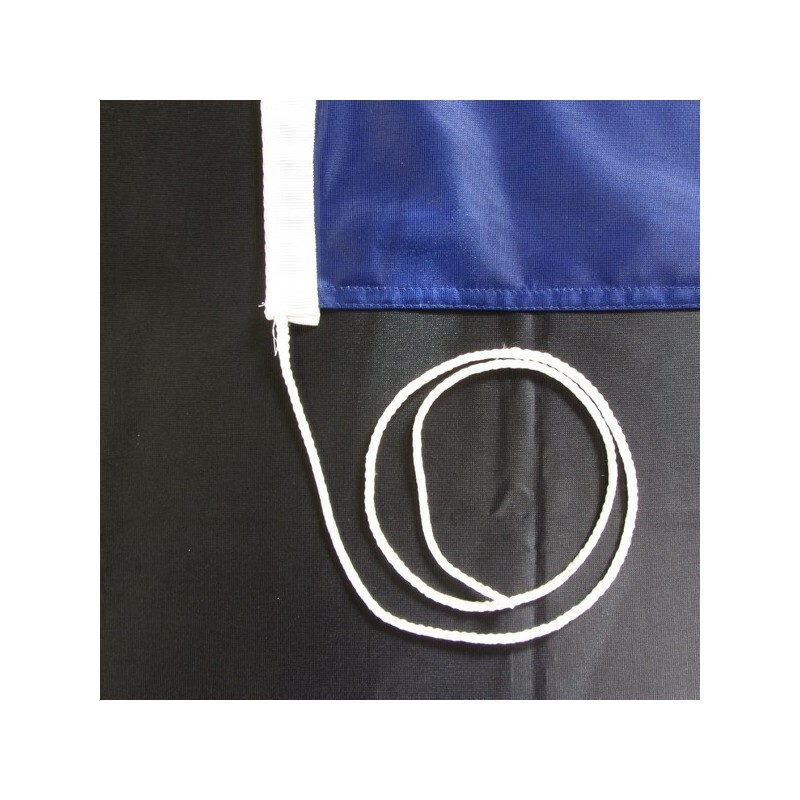 The nautical polyester is a knitted fabric and for this reason is resistant and it is recommended for the external use, because it is waterproof and it does not make the flag heavy. 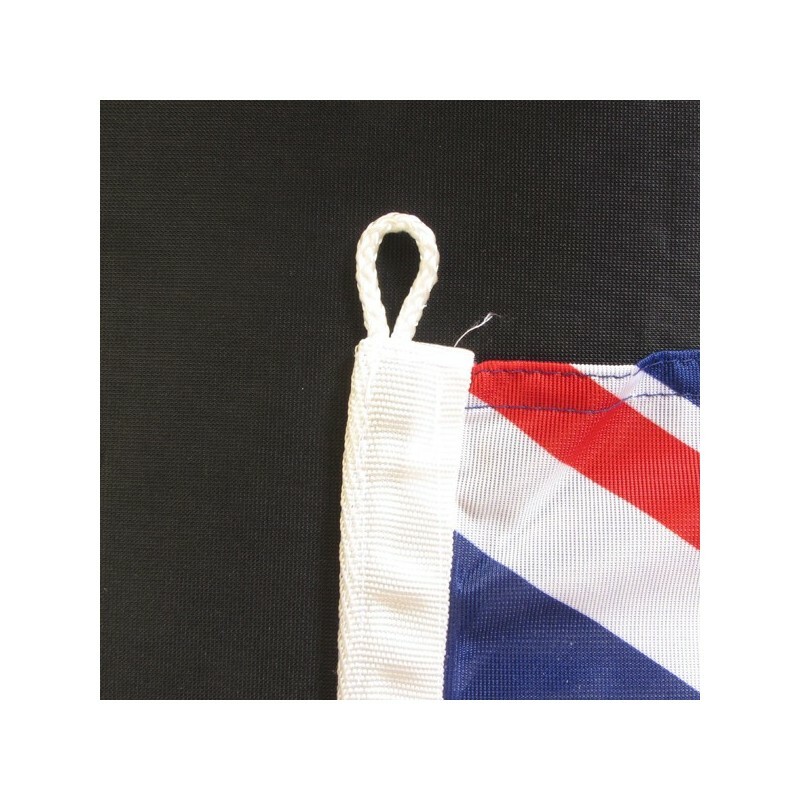 The flag is digitally printed and it creates an effect which reflects the frontal image on the reverse side. The package has a double neckline, a tape and a cable for an easy assembly. The first National flag was adopted in 1909, after many drawing contests, but its use was restricted. 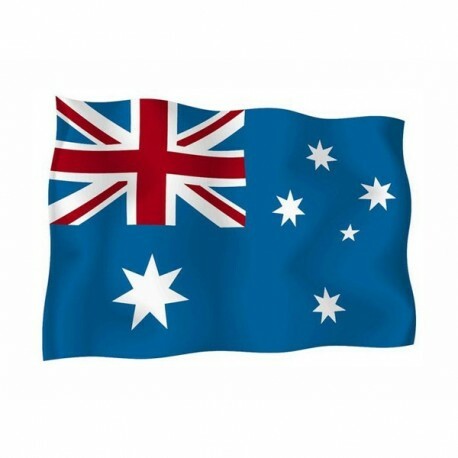 It consists of the blue banner and three others motifs, which celebrate the fundamental aspects of the australian sovereignity: the Union Jack, the southern cross and the commonwealth’s flag. The Union Jack was lifted for the first time by the Captain Cook, from 1788 it became the National Flag and it remained the official standard of the citizens up to 1954. It marks the memorable relationship between England and Australia. The Southern Cross is the always visible constellation in the South and it is a datum point for the sailors. It was the guide of the first vessels which went to the continent and for the colonists it became an emblem. The five stars of the cross appear with five tips for the brightest stars and with 3 tips for the lesser. The tips of the great star under the Union Jack, which represents the Commonwealth, confirm the federal nature of the australian government. It had six tips to represent the six federal countries. The seventh tip was added in 1909 to represent the Northern Territory. 85 cm. crossbeam and 15 D.